The fight is upon you, the emperor has announced your name. It’s time to take the battle into your own hands, brace your enemies and enter the ring. 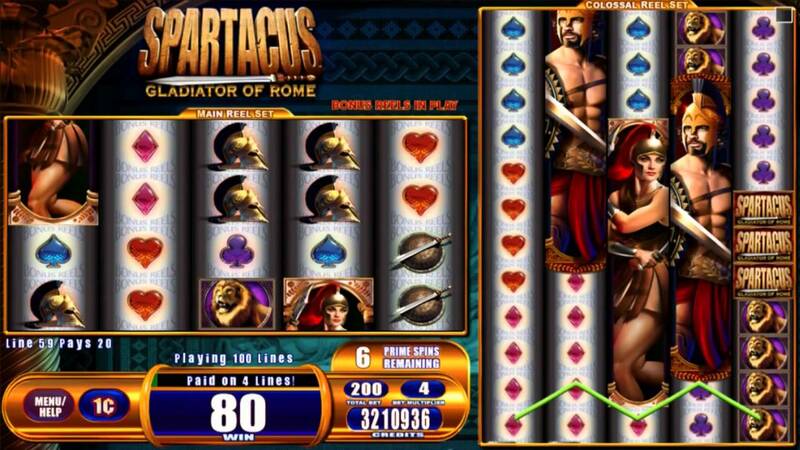 This is an epic, period, slot game set in the infamous Roman era. Its energetic atmosphere is compressed into a well-designed online slots play which will give you the chance to see some great winnings. It’s certainly one for any of those Roman Empire fans out there or players who enjoy spinning with a game that holds a bit of high intensity. The fight against fellow gladiators is an intense one but if you succeed, your investment will be rewarded. Simply collect the shields and swords of your opponents and work your way up to becoming Julius Caesar’s triumphant winner! 1x2, a UK based company that keep things small and specialized. Their work is not secluded to slot machines and they do much other work with online casino games. Their 5 - reel slot machines often adopt creative themes to immerse players in the action and excitement of spinning online. You can learn to play slot games from this developer. The graphics on this online slot are really adventurous, creating a realistic playing field. The setting is that of a hot and intense dessert where the gladiators come to train and fight, under the harshness of the sun and dryness of the air. The battle is worth it and payouts can be rewarded from spin number 1. Look out for bonus games which can trigger free spin rounds and multiply your prizes. These can be achieved by triggering bonus bouts on rounds 2,3 and 4. The opportunity to gain 30 free spins can be had here! Prizes are doubled and ultimately tripled depending on the number of free spins played. 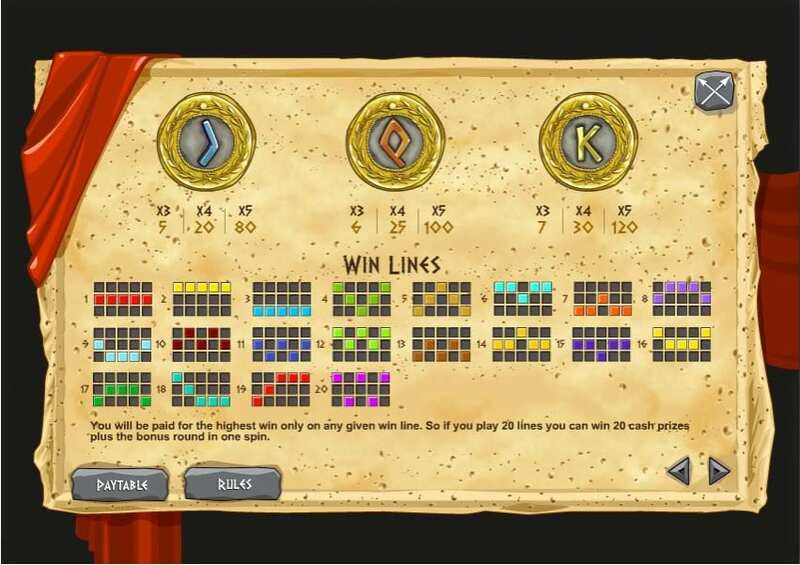 It's best to discover more from our guide to give you hints on what slots to play. Golden eagles represent the trophies that are rewarded from battles and these can provide a payout of up to 220 x your coin bet. Following that: shields = 260 x, chariots = 400x and swords up to 1,000 x the initial coin bet. This is a fun online slot game because has a high-intensity theme which is exciting but also provides some great winnings. The Bonus Bouts of free spins and increased winnings will keep you engaged. The graphics are designed by the game developer to contend well with mobile devices so playing is made even more simplistic. It is also good for most players as the stakes can be between 0.01 and 0.25 per coin. Choose between playing 1 to 20 lines and place bets of 1 to 5 coins on each line. It is important to keep your swords close to your chest because the battle is a long one and competition is tough. But, with a mind of strong determination, there will be a triumph and those who fight hard enough will win. Then you can stand next to Caesar and be one step closer to the Roman Empire! Here's a superb new slots game and you can discover even more, just click here. If you enjoyed playing Gladiator of Rome you will most certainly enjoy Yule be Rich.